Let us take you Parasailing in Orange Beach, AL today! We offer the best parasail trips and have the lowest parasailing prices in the Orange Beach area. Have a great time with Chute Em Up Parasail today! *At our Happy Harbor Location, if you find a cheaper price we will BEAT IT! Come fly with the BEST Parasail Company in Orange Beach, AL! Call (251) 303-8524 Today or save time and Book Online Now! Chute Em Up Parasail has been offering amazing parasailing adventures in the Orange Beach area since 2004! Are you ready to fly? Experience incredible views of the Alabama Gulf Coast while soaring up to 800ft above the beautiful Gulf of Mexico. At Chute Em Up Parasail, we take pride in providing extremely fun and safe parasailing trips to customers ages 3 and up. We offer the largest fleet of parasail boats on Pleasure Island, with 6 U.S. Coast Guard approved vessels that can each carry up to 15 passengers. Picture Packages are a great way to document your parasail flight, and include 40-60 high quality images on an SD card for only $35! We now have FOUR great locations in Orange Beach and Gulf Shores! Need directions? Find our location information below. 27212 Marina Road Orange Beach, AL 36561 - Get Directions! At this location you will find the majority of our Parasail fleet, along with our dolphin cruise boat, The Southern Rose. Our Caribe Marina location is located in Orange Beach between the beautiful Caribe Resort and the Cobalt Restaurant. Located on the beach behind The Beach Club's clubhouse, here you will find parasailing, watersports and waverunner rentals. 401 East Beach Blvd. Gulf Shores, AL 36542 - Get Directions! Located directly on the beach behind the Seawinds Condominium, and next to Sea-n-Suds restaurant in Gulf Shores, AL. 13825 Perdido Key Dr. Pensacola, FL 32507 - Get Directions! Located directly on the beach in Perdido Key, FL, just west of the Jelyfish Restaurant & Bar. Once you're finished Parasailing with us, don't miss out on all of our other AMAZING services! 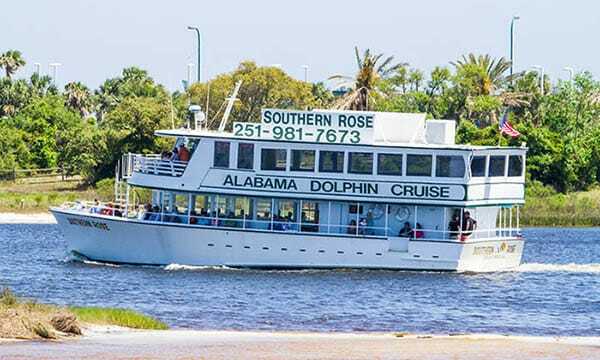 We guarantee you will see dolphin while taking a relaxing cruise aboard The Southern Rose. A great time for all ages, we offer the best dolphin cruises in the area. Try your hand at the newest and most exciting action watersport around! 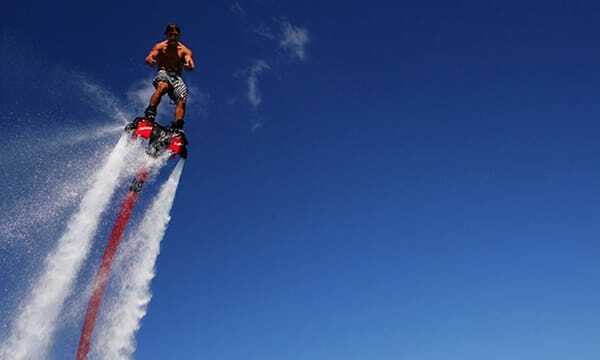 You'll fly like a superhero and have a great story for everyone back home with Flyboard Bama! 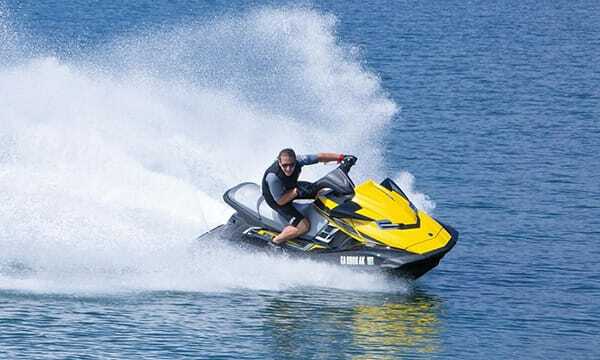 Take advantage of our Waverunner Rentals, located at our Beach Club location. Get ready for maximum speed and maximum fun with these beachfront rentals! Take a Banana Boat ride or rent a Paddleboard or Kayak right from the beach! Enjoy these watersports at our Beach Club location in Gulf Shores.